At Bolt Chiropractic Family Wellness, we take great pride in providing the finest chiropractic wellness care to our patients. Below is a sampling of the different chiropractic services we offer in our Port Hueneme office. Please see our PDF for more information about our Weight Loss Service (page 1) , Rapid Release Technology (page 2), Shock Wave Therapy & Pressure Wave Technology (page 3 & 4). See our PDF of unique services at Bolt Chiro. Weight Loss - lose weight without rigorous dieting or strenuous exercises. This exclusive weight loss management system is completely safe. and is based on scientific principles. Treatments are private and you can lose 1 pound per day, depending on your size, age, condition of your body and follow through. Rapid Release Technology - This technology is focused on relief of soft tissue adhesions such as Carpal Tunnel Syndrome, Muscle Spasm, Range of Motion, Headaches, TMJ, Knee Problems, Tennis Elbow, Back Pain, Shoulder Pain, and more. Shock Wave (Pressure Wave) Therapy - This technology is an alternative to surgery, shock wave or pressure wave therapy helps treat soft tissue, bone, heal and joint pain. Success rates are phenomenal, such as 91% improvement for shoulder pain as mentioned in the Journal of American Medical Association. This technology helps accelerate the recovery of injured tissue. We provide advanced spinal correction utilizing "state of the art" chiropractic techniques. Never in the history of chiropractic have we been able to provide the level of help and expertise that now exists. These newer correction methods are even safer, more comfortable and more effective than ever before. 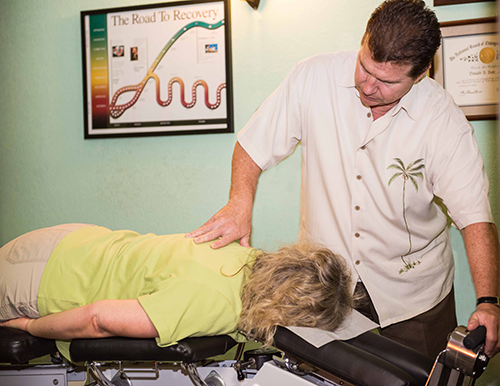 As a Doctor of Chiropractic, Dr. Donald Bolt has years of training and experience in spinal adjustment. We provide specific recommendations on nutritional supplements and healthy food choices to enhance our patient´s return to optimal health. Do you know which supplements and vitamins are good for youDr. Donald Bolt can provide a structured nutritional program based on your individual needs.